Hello all! Can you believe that tomorrow is Halloween! It went by so fast! Does anyone have any special palns? I am staying home to give out candy, the daughter is going to a party, and hubby and son are going trick or treating! Thats it for us! This month has been awesome and I want to thank each and everyone of you for participating in the challenges and for all the lovely comments you have left! I greatly appreciate them! This month I also received some very lovely RAKs and participated in some awesome swaps. So my project for today is to use the items I received from these lovely people who sent me things. THANK YOU TERRA, KAS, AND ROSIE! 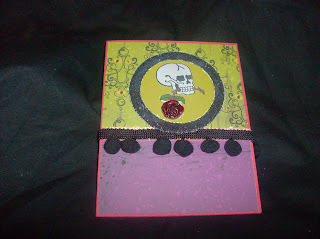 Today I am showing a card that I made for the Bombshell October Sketch challenge. I am saying now that I only know the names of some of the companies that my materials are from as they are all from RAKs. So the papers I used on this card are very lovely and from the RAK, the stamp is from Bombshell stamps, the ribbon is from a RAK and the cardstock is from Stampin Up! Oh yeah the microbeads are from Pennywise Arts! I love the sketch that was put out for us! It is awesome! 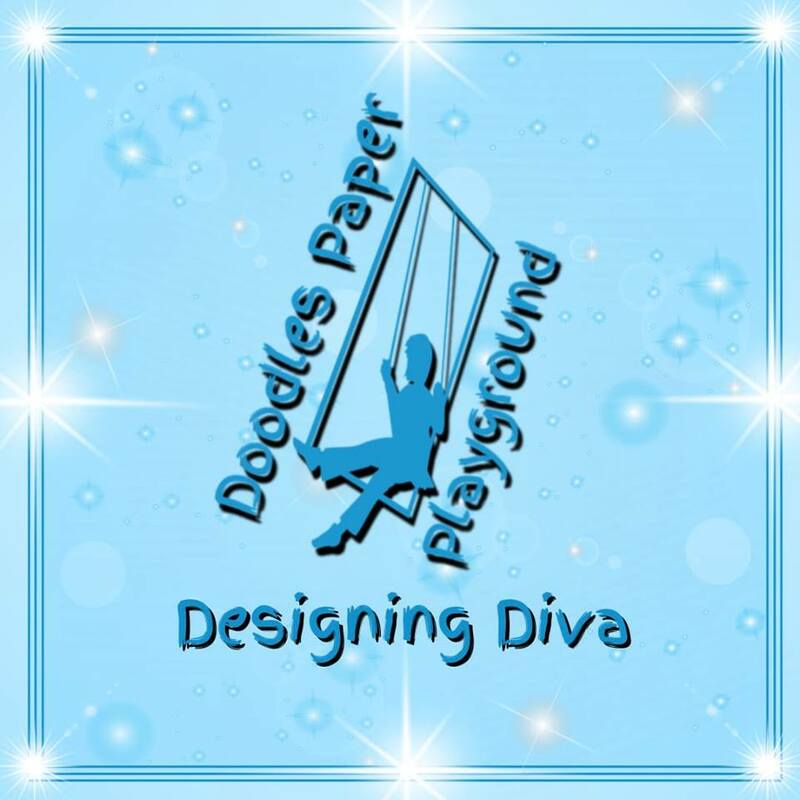 Remember leave a comment, participate in past challenges, be sure to leave a link though! You still have a couple of days to get more entries!!!!!! That blog candy is HUGE. Now that you have seen my project hop on over to Smeared and Smudged and see what Terra has for you today!!! Gorgeous card. I especially love the fiber -pom poms rock! Fun card, I will be working Saturday so have some fun for me. I have enjoyed what you did this month. It was fantastic to see all of the Halloween stuff.Thanks.